Shakespeare on the Common Returns Tomorrow Night to Boston Common! Shakespeare on the Common returns to Boston Common this summer starting tomorrow, Wednesday, July 19, 2017 with FREE performances of the classic Romeo & Juliet. The Commonwealth Shakespeare Company will be performing at the Parkman Bandstand at Boston Common from July 19, 2017 to August 6, 2017. Performances start at 8PM Tuesday-Saturday and 7PM on Sundays with no shows on Mondays. There is also one matinee on Saturday, August 5, 2017 starting at 3PM. 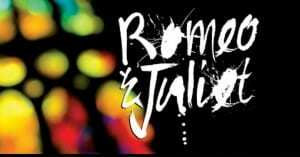 All performances of Romeo & Juliet are free and open to the public, although their is an option to buy reserved chairs in the Friends section if you’d like to get a top spot. For more information about Shakespeare on the Common this summer in Boston, please head here. This sounds like a great (and cheap) date night– picnic in Boston Common beforehand then a free performance of Romeo and Juliet! Will you be going to see Romeo & Juliet for Shakespeare on the Common this year? Have you gone in the past?